Hi! At Wine Club Reviews we review companies that offer wine club subscriptions and sell wine gifts. This is a review of Gold Medal Wine Club. This quarterly wine club features true luxury wines rated 93+ and finds California wines so exclusive that the club is limited to 500 members. You get collector-level access without the hassle of doing your own research. A lot of wines (and wine clubs) call themselves "super premium" but most of them fail to live up to the hype, this one does. California is home to some of the world's best wine regions and wineries, many of which are boutique wineries. A boutique winery is typically a small-family operation with limited distribution beyond their tasting room. 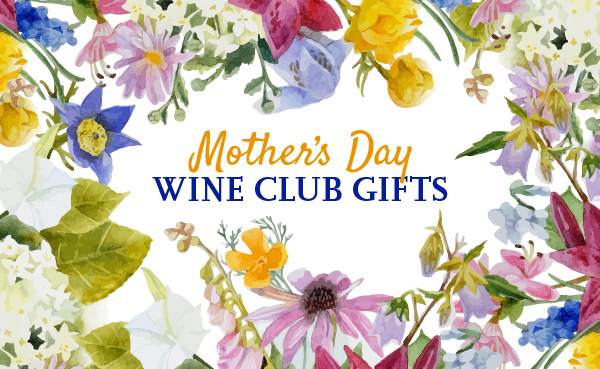 This wine of the month club is a great way to get introduced to what California wine has to offer at reasonable prices and it makes an excellent gift. Pinot Noir is one of the most beloved red wine grapes and this Pinot of the month club is the best one for discovering Pinot Noir from California. Discover boutique wineries producing world-class Pinot Noir in Santa Barbara, Sonoma, and other regions around California. Stunning Pinot from Joseph Jewell, Dragonette Cellars, and Kessler-Haak to name a few. Garagiste is a term which describes up-and-coming winemakers who toil away creating artisanal wines in their, well not usually, garages. If you're someone who wants to be up on the latest and greatest future stars of California winemaking, try the mostly red wine selection of Garagiste wines from the Gold Medal Wine Club. Gold Medal is an old school wine of the month club, they long pre-date the subscription box services we've come to know and love. Their efforts are focused around delivering a couple of great bottles each month, rather than being your primary source for wine buying. Rather than asking you to do all the work, Gold Medal puts a great deal of effort into sourcing some of California's best wines at the right price for each level of their wine club. You won't find these wines at your local store, and you may not even be able to buy them at a winery. More than most wine of the month clubs we've reviewed, Gold Medal really wants to please folks who love California wine. Five of their six wine clubs only feature California wine (the sixth club is an International series which introduces you to other wine regions you might love). They offer the highest level of Pinot Noir wine club on the market, they have the Garagiste series which focuses on teeny tiny production wines from up-and-coming winemakers and wineries, and their online store offers steep discounts of winery retail pricing. We also really love their gift presentation — it's probably the nicest one we've reviewed. The Gold Medal Wine Club is not especially unique—we're also big fans of The California Wine Club which operates under a very similar model. What is unique to Gold Medal is the quality of the wines at exceptional prices and the special holiday incentives they offer. Their Plus Bottle offer is also unique in that you can really stretch your small-production winery discovery with yet another boutique wine in each shipment. Like other older wine of the month clubs, Gold Medal sends out a glossy multi-page brochure (called the Wine Press) with each shipment of The Gold Series. It contains detailed tasting notes about each wine, the wineries they come from, the winemakers, and the wine region. They also include food pairing recipes and wine trivia in each issue. Unless you're buying for a very adventurous wine-lover, this is the best wine club gift on the market. For wine drinkers of any level and any preference, it would be hard to not make a great impression with a Gold Series gift. Remember, send 6 months and save 5%—and if you're thinking of holiday gifting, they always have great bonus gifts in the first shipment! Gold Medal Wine Club offers 6 different wine clubs, read our reviews.